Presumptive Republican nominee Donald Trump met with at least 200 House Republicans at the Capitol Hill Club in Washington, D.C. on Thursday morning. Sources report Trump received two standing ovations during the meeting, where he reportedly spoke about tax reform, Obamacare, the Supreme Court, the Second Amendment and dishonesty in the media. The New Yorker arrived at the meeting with his daughter Ivanka. Republican National Committee (RNC) Chairman Reince Priebus also attended the meeting. The presumptive nominee reportedly answered questions from lawmakers for roughly 40 minutes. House Democrats protested Trump’s meeting along with a small group of protesters. Several House Democrats are outside the Capitol Hill Club to protest Trump's visit, bashing him for outsourcing. The Hill reports the hope for Trump is to unite Republicans ahead of the Republican National Convention, which kicks off in 11 days in Cleveland, Ohio, where Trump will officially be slated the Republican Party’s 2016 nominee. Rep. Scott DesJarlais (R-TN), who supports Trump, suggested the meeting helped unite the party. However, according to Politico, Rep. Adam Kinzinger (R-IL) is still not supporting Trump. 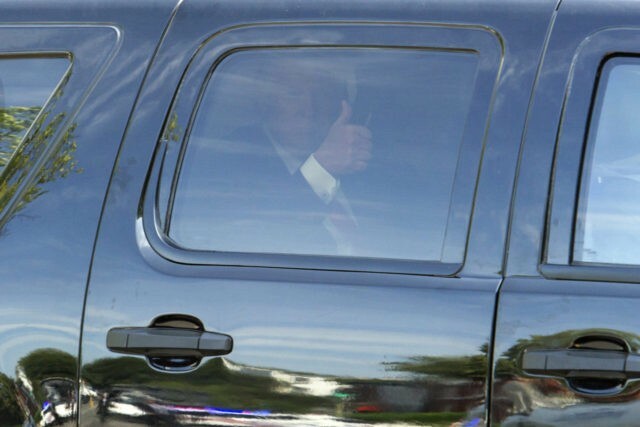 Trump was also scheduled to meet with Senate Republicans at the National Republican Senatorial Committee headquarters following his meeting with House members.